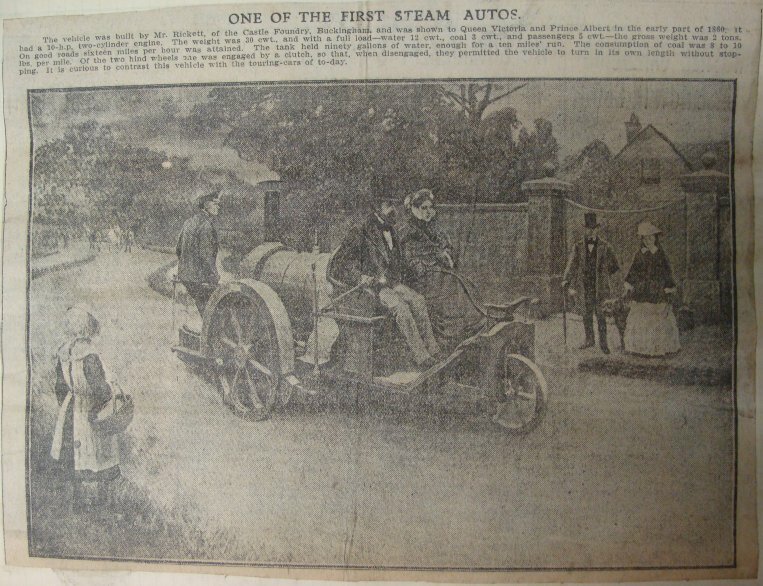 "One of the first steam autos"
The vehicle was built by Mr. Rickett, of the Castle Foundry, Buckingham, and was shown to Queen Victoria and Prince Albert in the early part of 1860. It had a 10-h.p. two-cylinder engine. The weight was 30 cwt., and with a full load-water 12 cwt., coal 3 cwt., and passengers 5 cwt. – the gross weight was 2 tons. On good roads sixteen miles per hour was attained. The tank held ninety gallons of water, enough for a ten miles’ run. The consumption of coal was 8 to 10 lbs. per mile. Of the two hind wheels one was engaged by a clutch, so that, when disengaged, they permitted the vehicle to turn in its own length without stopping. It is curious to contrast this vehicle with the touring cars of to-day. 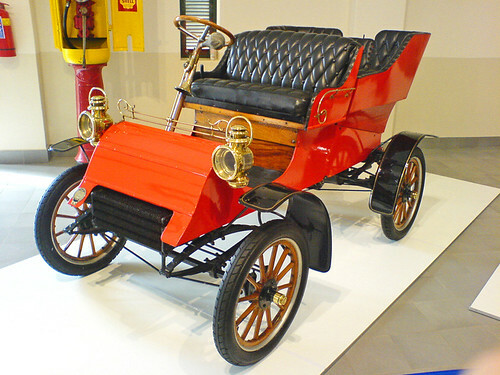 The “cars of today”, when this article was written in 1904, being vehicles like this Ford Model A with a top speed of 28 mph (45 kph). Image from LaertesCTB on Flickr.